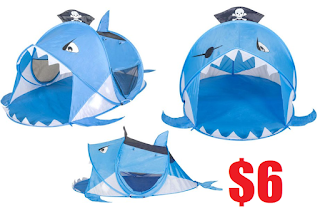 Kids' Pop Up Tent Shark $6 + Free Pickup at Walmart or Free Shipping With $35 Order. THIS IS AWESOME!!!!! !